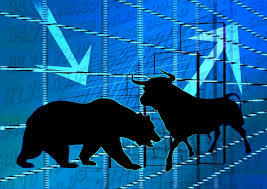 Money Market Tips: STOCK MARKET- ARE YOU A TRADER? NIFTY 7,750 SHOULD MATTER TO YOU-READ IT. STOCK MARKET- ARE YOU A TRADER? NIFTY 7,750 SHOULD MATTER TO YOU-READ IT. The Indian market witnessed choppy trade today, with the Nifty bobbing around in a 100 point range and closing 0.3 percent lower. The trade was reflective of volatility that is typically associated with the week of expiry of monthly futures and options contracts -- scheduled this Thursday -- but the intensity of the caught took some traders by surprise. But what it did show was that traders should now tread with caution. "The trade on the Nifty continues to be on the short side," Sudarshan Sukhani of s2analytics.com told CNBC-TV18. Sukhani told CNBC-TV18's Closing Bell segment that he would maintain shorts on the market with a tight stop loss. Technical analyst Ashwani Gujral told CNBC-TV18 that the ongoing volatility is "something you would not associate with a bull market". Both Sukhani and Gujral said 7,750 was especially crucial on the downside, with Gujral saying another 200-250 point downmove was possible once that level was taken out. For the medium term, investors say much would depend on what happens to the monsoon. A bevy of analysts told CNBC-TV18 through the day as to why the monsoon trajectory matters for the market -- coming as it does after two years of back to back droughts.